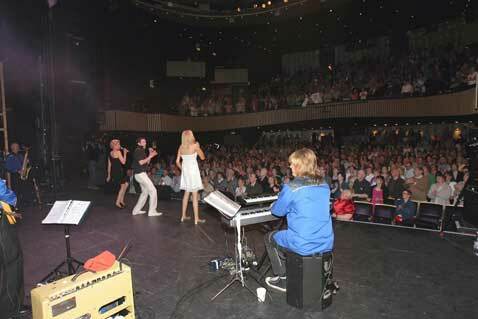 Since she was a young girl, Mary Murray-Burke dreamed of singing a song on the famous stage of her local top concert venue, the Cork Opera House, a dream she eventually passed on to and shared with her children Derek and Dervla as the popular trio played the Munster social dancing circuit in the guise of Crystal Swing over the past few years. 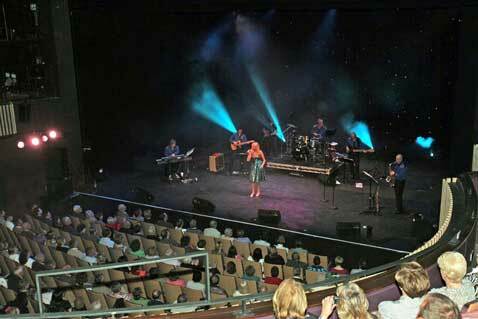 On Sunday night the 16th May 2010 that dream came true in abundance for the talented, local band when they took to the legendary stage before an enthusiastic, sell-out crowd, in their own show backed by a line up of top musicians as well as two top support acts. 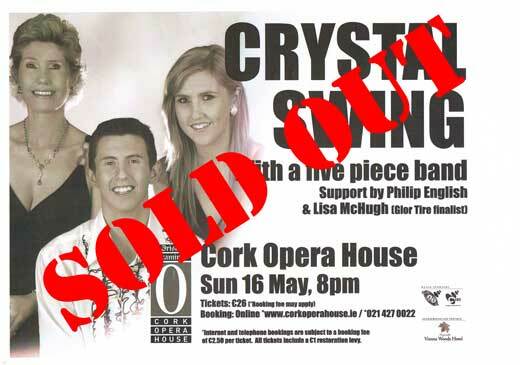 The show started in style with Philip English and Glór Tíre finalist, Lisa McHugh getting the capacity audience singing and clapping to some fantastic country and Irish numbers, all the while moulding the atmosphere ahead of the main act, Crystal Swing, whose arrival on stage was heralded by the famed intro to their hit video, 'He Drinks Tequila': "Hello everybody, my name is Mary"; "I'm Derek"; "and I'm Dervla", came the, by now, familiar voices from off stage, "and collectively we are known as Crystal Swing". And with those words reverberating around this iconic building, Mary, greeted by an enthusiastic welcome, was on stage followed shortly afterwards by Dervla and then Derek. Clearly delighted with and savouring the electric atmosphere, from there on it was high energy all the way as the band launched into an exhausting two-hour set that featured well known songs, old and new that had the audience well and truly engaged. By the time they sung their global hit, 'He Drinks Tequila', the audience were singing in full voice and following Derek's trademark 'Hucklebuck', a standing ovation was the order of the day followed by an inevitable encore. With the crowd on its feet it was time for a reprise of 'He Drinks Tequila' with full crowd participation to close the show. The show went down a storm with the audience who ranged in age from nine to ninety, many of whom sported 'I love Crystal Swing' tee shirts. Afterwards the band met their many fans in the foyer of the Opera House for autographs and photographs. 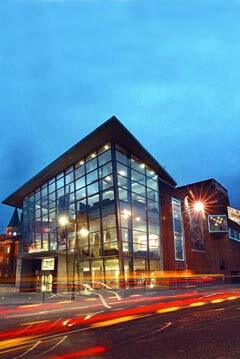 A comprehensive recording was made of the show including interviews with Mary, Derek and Dervla and some of their fans. It has now been released on DVD and is available in all good music stores or can be purchased in the Crystal Swing e-shop (click the DVD cover on the left for more details). See trailer below. A dream come true indeed for the unassuming trio who, up to February 2010, were practically unknown outside of Cork but who, due to the internet success of their 'He Drinks Tequila' video, became household names across the globe. 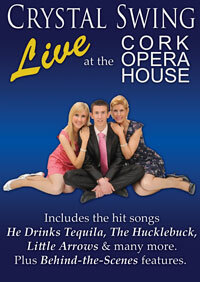 Despite appearances on The Late Late Show, The Ellen DeGeneres Show, and a myriad of other features on TV, radio and the print media before a combined audience of millions, their appearance at the Cork Opera House, their 'theatre of dreams', on 16th May 2010 will hold very special memories for this talented family band.